Racism in America - Miata Turbo Forum - Boost cars, acquire cats. It doesn't exist. It is the white man perpetuating the violence. this is why all citizens should be armed. notice how the police were no where to be found? somehow, and I really dont know how this is, but cops aren't magically at the scene of a crime. I don't even have an idea of what happened... ******* holding the phone wrong way and not even recording ****. People with iPhones Cant grasp the concept of landscaping photos/videos, because thats not how celebrities do it. I know this for a fact... I saw Kim Kardashian do it on some TV show a while back, so im an expert on the topic. Now she just needs to insert "WORLDSTAR, WORLDSTAR!!!!" and this vid would be complete. That would be scary, wow! I'm not going to pretend that racism doesn't exist here in Australia, we're a multicultural country and the blend of ethnicities/races works as well as they probably can together so there aren't too many issues. 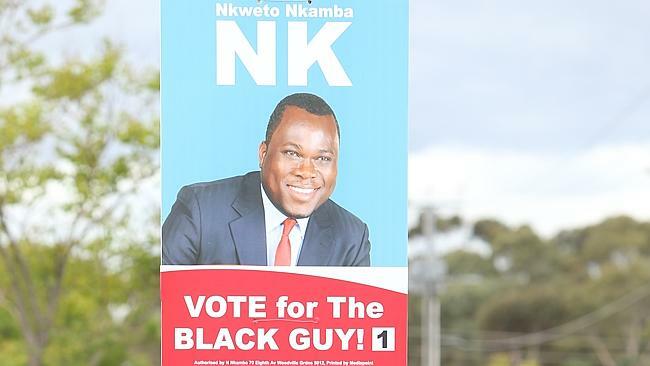 Nkweto Nkamba originated from Zambia and is running for election in Adelaide. Most people here love this and he's a very personable/likeable guy. I suspect the haters are opposition campaigners because how can you top that, especially when most of them are nameless/faceless bureaucrats (ie. who's going to remember them when it comes time to vote; everyone knows NK from his posters). See No Cookies | The Advertiser for details.